There's a night market going on near my house! 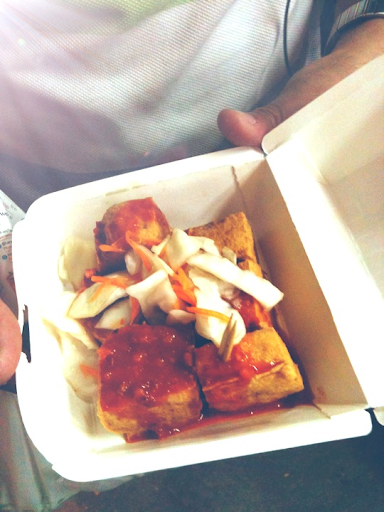 And there's this stall selling 臭豆腐(smelly beancurd)!! Smelly Beancurd isn't a local delicacy from Singapore. 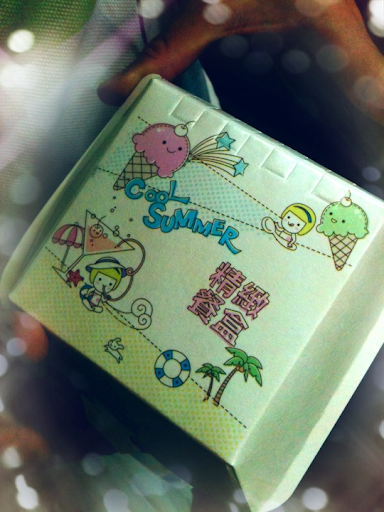 it's from Taiwan/China!! And as the name suggests, it stinks. quite a lot. 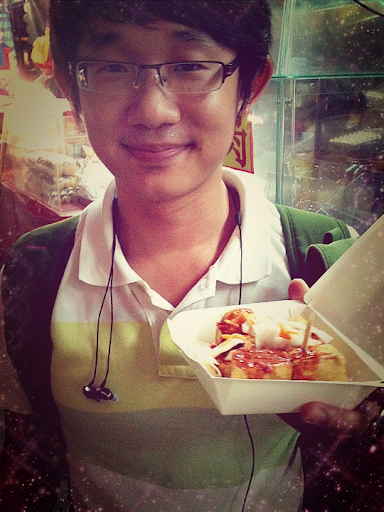 Boyfriend enjoying his smelly beancurd! haha. Not because it's too smelly (the one we bought wasn't as smelly as the original ones in Taiwan). it's because I want to try the original ones in Taiwan first!! Aiming to go Taiwan for my 21st birthday celebration!